Revello’s mountainous austerity requires you to redraw your mental map of the Piedmont. Sawtooth, snow-capped Monviso, one of the highest peaks in the Alps, dominates the landscape. This is not the hilly green terrain shaped by the Po, but rather the river’s high Alpine source. Although Revello is just 45 km (30 miles) from the heart of Barolo, its separation by a broad plain and its distinctly cooler, wetter climate have evolved a very different, deeply individualist tradition of wine. Fittingly, Cascina Melognis is a tiny winery called into existence by the vision and will of two determined individuals, Michele Fino and his wife, Vanina Maria Carta. Michele’s roots in farming and the land, coupled with their shared dedication to proving the potential of an historic but little known terroir, has, in rather short order, begun to deliver captivating results. “We are a domaine with a very poor history,” Michele laughingly acknowledges. “The activity we can properly call ‘winemaking’ started in 2008, when we found a few amazing vineyards in Saluzzo.” Today, Michele and Vanina organically farm 3 hectares of vines in and around Revello and Saluzzo, in the area known as Colline Saluzzesi, tucked in the far northwest corner of the Piedmont. They focus on a handful of varieties native or traditional to the region: pelaverga, barbera, chatus, and pinot noir. “The vineyards that we currently manage were cultivated for domestic consumption only by our relatives and the owners of the ones that nowadays we conduct,” Michele notes. Michele was trained as a lawyer and holds a PhD in Roman law, but “became a winemaker out of passion and a grower because I didn’t want to be the first man of my family not to cultivate a piece of land. All the Finos have always been farmers and/or breeders.” Michele’s interest in winemaking has its roots in his civil service duty in Roero 20 years ago, when he met a number of winemakers who ultimately inspired him to follow their lead. Michele is self taught, but has learned much from long-time collaborations with other Piedmontese winemakers, while Vanina gained wine experience working at Rocche Costamagna, in La Morra. The Cascina Melognis vineyards are at 350-500 meters (1150-1540 feet) above sea level and are farmed in accordance with the requirements of these high elevations, as well as the poor, acidic soils, stark diurnal shifts, and cool, wet climate. “We have changed very little from the past,” Michele says. “The oldest vineyard was planted in 1947, the youngest in 2002. Our philosophy is naturally low yields. That means Guyot training and minimal or no nitrogen fertilizations.” Michele and Vanina are now completing the third year of conversion to organics, in anticipation of certification. At harvest, the family, bolstered by a wider cast of relatives, does all the picking by hand. The red wines are spontaneously fermented in stainless steel tanks and undergo malolactic fermentation. All processes occur at ambient cellar temperature, which, given the climate and elevation, is quite cool. Divicaroli (100% pelaverga) ages six months in stainless tanks, while Ardy (70% barbera/30% chatus blend) and Novamen (a barbera-led blend with pinot noir) are aged for 18 months in first- and second-use French oak barrels. The grapes for Divicaroli are sourced from 30-year-old pelaverga vines. Pelaverga grosso (distinct from the pelaverga piccolo variety of Verduno) is characteristic of the area around Saluzzo. Here it was long a staple in blends, but its importance shrank over time, until it nearly vanished in the 1970s. Today, careful site selection and pruning are bringing about a small and welcome renaissance for the grape. Its peppery, high-toned freshness, and delicate floral and herbaceous notes are quintessentially Alpine. It is still rare to find monovarietal pelaverga from anywhere in the Piedmont, let alone the Colline Saluzzesi. Pelaverga is late-ripening, and Michele typically harvests in mid-October. The grapes are de-stemmed, then pumped into stainless-steel tank for fermentation and traditional punch down three times a day for the first nine days. After alcoholic and malolactic fermentations, the wine is delicately transferred to another tank for aging until April, when it is bottled. Ardy is sourced from some of the oldest vines Michele and Vanina work with, 45- to 50-year-old barbera and chatus. Chatus is a variety native to the Ardèche, from which it has now all but disappeared. Today the grape is found almost exclusively in the vineyards around Saluzzo, where its spicy, herbal character make it an excellent blending partner for barbera’s earthy depths. Novamen is a barbera-led blend with pinot noir, from vines that are roughly 50 and 15 years old, respectively. The grapes are picked in early and then again in late September. Again, the vinifications take place separately but follow the same track. De-stemmed grapes are pumped into stainless-steel tank for fermentation and punch down three times a day for 15 days. After alcoholic fermentation, the wine is pumped in another tank for malolactic fermentation. Then the wine is transferred without pumps into barrels. As with Ardy, after 18 months in barrel, the wine is bottled and then aged for another four months before release. The driest vintage since 2003. Very little rain in the spring followed by a drought that lasted from May 20th through the end of September. 30% of our yields were lost in 2017. Alcohol levels were higher than usual and the wines had more concentration. 2016 was the ideal vintage: spring arrived with a good amount of rain. The summer was sunny and received rainfall at the right time. Perfect maturation of grapes and abundant yields. Quite a dry spring followed by a severe drought that lasted from the end of July until the end of September. Good maturation of grapes; yields were not overly abundant but regular. The soil here is an acidic clay-based soil, rich in "scheletro." 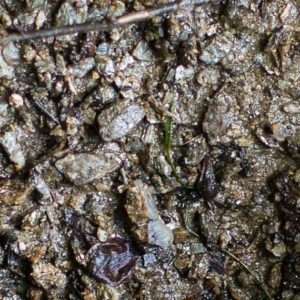 Scheletro, or 'skeleton' in English, refers to a type of soil consisting of grains that are greater than 2mm in diameter—otherwise known as gravel. These rock fragments are the result of metamorphic rocks that have crumbled over time and will eventually turn into sand. 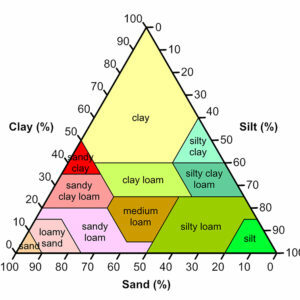 The pH ranges from 4.5 to 5 and there is no presence of limestone. Fine gravel is a wonderful soil type for growing grapes because it allows for ample drainage and requires the vines to struggle. 2016 Colline Saluzzesi Rosso "Ardy"